The Find Magazine is a global collective of music lovers dedicated to promoting the diffusion of hip hop, jazz, funk, soul, and related genres. We are inspired by the culture of ‘crate digging’ and thus constantly scour the dusty corners of record shops and outskirts of the internet to find the best music for you. 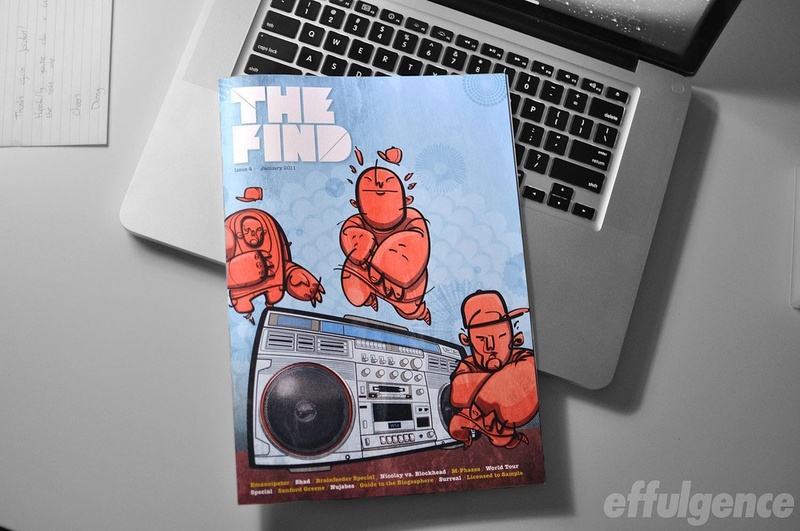 The Find is not only a printed and web magazine but also a collective spurred on by the love for music that tries to find and share the best of hip hop. They do what we would call crate digging. Since its foundation in 2008, The Find has expanded to include a wide variety of medium for sharing musical and artistic beauty ((http://thefindmag.com/?page_id=9325)). I met Danny Veekens (editor in chief) a couple of weeks ago in Tilburg to talk about music, magazines, new media, old media and the culture of crate digging. How many issues have you published so far? This is the 4th issue. The first three were digital. And this is the first printed. We started as pdf just because it was too expensive to publish right the way. How many people are working for this magazine? In total 15 people worked for this last issue. People from around the world that I don’t really know. People from Peru. Some people from the US. Some people that I met on the Internet. At the beginning we started as a blog (not even a website). We did two issues as pdf in 2008 and then we launched the website in 2009 to get people updated. Then we started the Facebook page in 2009 as well and Twitter a bit before. Facebook works very well. Facebook is the tool we used the most and the one we get the most of it. That helps a lot. How did you start running this magazine? I studied journalism, I love writing and I love magazines. Eventually we’ve got a small niche of music lovers and crate diggers. The Find Magazine is about crate digging. I was a little bit bored and annoyed of all these websites about hip hop where you keep hearing the same music over and over again. There were not many sites and magazines dedicated to jazzy-funk hip hop. Why there isn’t anything based on that niche? I used to run a blog called Musical Schizophrenia. It’s pretty big and by now we have reached 4 million hits. Then I was thinking the niche is there and it’s pretty active all around the world so why isn’t there a magazine or site about it. We always wanted to get it printed. The next printed issue will be next year. We don’t want rush it. Between magazine releases we also work on other new media projects. We work with all kind of medium. We did a radio show for Laid Back Radio. We used to do the pick of the week on LDBK Radio. We played music for few hours. We picked once a week artists we love. All is about sharing music. Find music and share it! Now we do a selection of one hour a week for a Greek radio station, Blue Raccoon FM. They broadcast it every Friday. You actively use the new media. Could you tell me which ones mostly and in which purpose? We actively started to use mixcloud since a year. I think this is something very big and interesting when it comes to new media. Mixcloud and SoundCloud offer to anyone a platform to release music. When you have a blog you can post your SoundCloud and you can use Facebook and Twitter to promote it. It’s easy to share podcast or radio shows. For artists it’s one of the biggest new media tool. It opens a lot of doors. We started a Myspace account when we did the first issue in 2008. Now Myspace is just dead. With only one Soundcloud profile you can make a stream, make a download, make your own playlist and your own album. It’s really easy. It represents a big evolvement in new media. Our generation wants to check everything really quickly. Myspace was too messy and everyone had a different layout. We also tweet a lot to target artists. The more artist you tag the more artist will know you. It’s self-promotion. Nonetheless, I prefer Facebook because you don’t get anything back from Twitter. With Facebook you can also check the inside see how many readers are coming from France or Germany for instance. This is very relevant to know who are your readers, what they like. Something you should know when you run a magazine and this is something that new media provide. On Facebook we publish four or five posts a day and based on likes and comments you get an idea of what people like. I get very mad if nobody likes! (laughs). It works as an indicator. We write in English because we’ve noticed that our audience is pretty international. According to our Facebook page the biggest readers come from the US follow then by France, Germany, Belgium and The Netherlands. We try more to get people to Facebook than to our website. If they liked us on Facebook they will be updated everyday with our new feeds and won’t forget us also their friends will get to know us. Eventually with the website they can be redirected to another website and will not remember us. We also release digital albums. We just want to collaborate with as many artists as possible. Artists approach us because they need promotion and a platform. We are eager to help them. If you are an artist and you want to release you album all by yourself you will only reach your own audience. Sometimes it’s small sometimes it’s big. If you release your album in a site like The Find you reach a bigger audience. No money involved just support! We release these albums online only. Digital albums are easier to promote because they are cheaper. We put them on the site and that’s it. Free download is just the easiest way to introduce people to the artist. Also there is no sense of making a music magazine without music. You use both traditional media and new media. Why? First of all we prefer traditional media when it comes about magazines. It’s so much better than reading articles on a website or a blog. It’s so much more pleasant to buy a magazine, smell the ink, open it and share it! That’s the whole experience. We just want to protect this experience when it comes to physical products. Nevertheless, I think you just cannot exist without new media. You can release a magazine and print it but nowadays you first have to reach an audience. If you release a magazine once a month without a website, without a Facebook page then nobody would know it. With the new media you can also keep people updated every day. Moreover people are just very picky and rushy. We also release physical beat tapes. For the next issue (issue number 5) we want to include a vinyl record (a flexi disc) with the magazine. With the last issue we tried to reach the gap between old media and new media in making a mix that basically goes from page one till the end. The mix starts with songs of the artist of page one and keeps playing music until the last page. Like an audio book. Since it’s so easy to find anything on Internet today, what does remain of crate-digging attitude? It works two sides. Internet is less digging. You can go to Bandcamp and click to hip hop tag and you get everything. That’s maybe not really digging. You go to Google and you find anything. You already know that you have to type Facebook.com/ and the name of the artist to get what you want! On the other hand with Internet you also want to dig more. You can go to Bandcamp and you have 200 albums for example or you can check the album that you like then you click on the tag and you get similar things. You see the previous releases of the same artist. It’s easier. You go to SoundCloud page and you know which track is new and which one is old. With the new media we could say that we experience less but then again is way bigger to get and find more. There are so many artists I wouldn’t have even known about without the Internet. How would you define The Find Magazine? The core is music. We could call ourselves a music magazine or also a street art magazine. Or hip-hop music magazine inspired by the crate-digging culture. The smaller you are (the more specialized) the stronger you are. Some people says magazines and newspaper will die. I think indeed it’s a pretty hard world also because of the iPad, etc but I don’t think magazines will ever die. If you look at Dutch women magazines there are so many and to me they all look the same just with different audience. You’ve got also music magazines that cover all kind of music. People like something specific and when you run a magazine you have to adapt yourself to that! Fifty years from now I’m sure there still will be magazines. When you run a magazine the more specific you are the more active your audience will be. Our readers are pretty active and involved. They love music and sharing music, experiencing, reading a magazine, get a vinyl record. 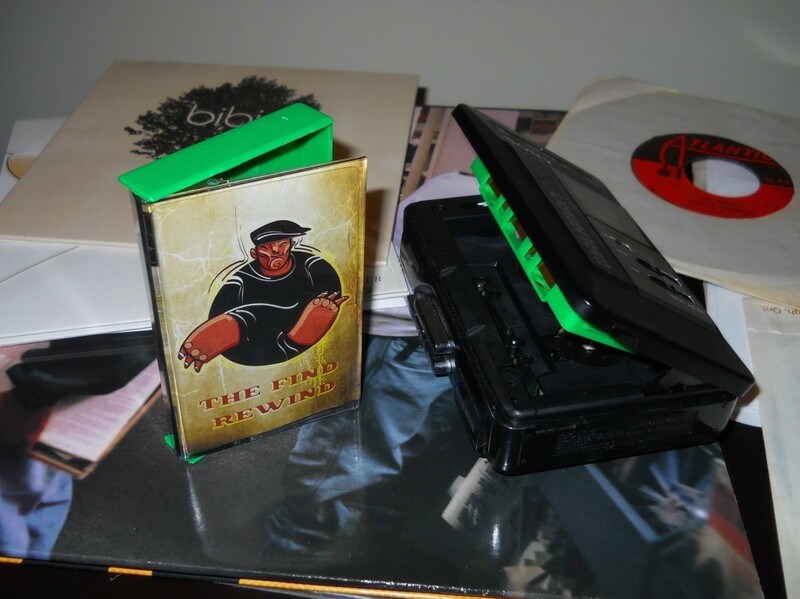 People are still interested with the old media (beat tapes, vinyl records). I think the bigger new media get also the bigger old media get. People miss the old media because they provide you another experience. For example, when you read a magazine you don’t get distracted like when you read something online. We select the best for you and then you select yourself what do you really want to read. In the magazines we do quality control. If you really have to define The Find Magazine then I would say “experimental”, “music platform”: we release beat tapes, we try to cover all media. We would like to experience iPad magazines. We do the printed issue but also the digital version. Then people can choose whatever they want or do both. What are your blog posts entitled “Tweet & Like” ? I realize that social media are super important! We need to implement them in the website as well. Therefore once a week we want to make a selection of the best Facebook comments, posts and tweets. Also comments are disappearing very quickly and you can’t even find them anymore. Then “Tweet & Like” is like a mini social magazine. Again it’s about finding and sharing for other people. I plan to do it every Friday. Mostly I select comments from labels and artists but I also want to do it from random people. If someone says something funny or something nice then it might be interesting to remember it! You also say in your website that you do “quirky interviews”. What do you mean exactly?